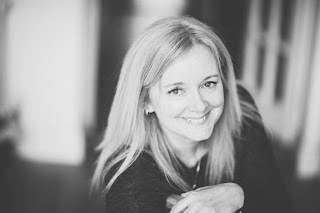 I am delighted to be taking part in the blog tour today. Legend Press are reissuing some of its most popular titles from over a decade of publishing. 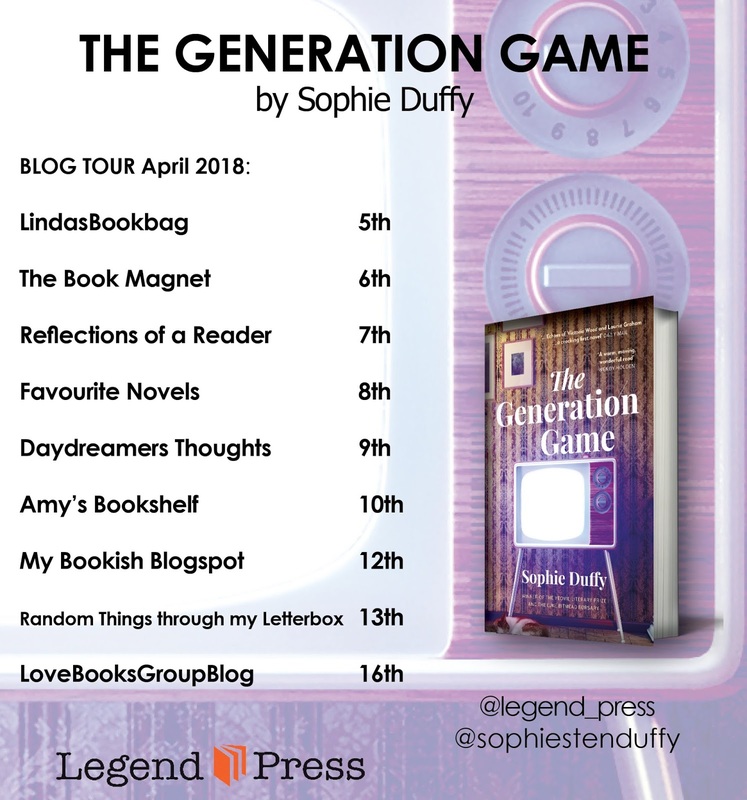 April 5th 2018 sees the turn of The Generation Game by Sophie Duffy. My thanks to the author and the publisher for the review copy. Retracing her life, she confronts the daily obstacles that shaped her very existence. From the tragic events of her childhood abandonment, to the astonishing accomplishments of those close to her, Phillipa learns of the sacrifices others chose to make, and the outcome of buried secrets. The Generation Game is a book I hadn't come across until I was approached recently to read it for its reissue. I am so glad I agreed to read it as it was like a breath of fresh air and I enjoyed it very much. This book centres on Philippa Smith who has just had a baby, she is on her own and The Generation Game is her trip down memory lane as she recounts the story of her life. Crammed full of nostalgia that could have been wistful but wasn't. There are references to television programmes and anybody that was around in the 70's and 80's would love this book. A cast of lovable and unique characters underpin this story and evidence the fact that family are not always those that we are born into but those that we choose for ourselves. 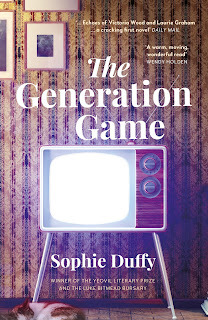 The Generation Game is an absolute joy to read, light and uplifting but never fluffy. There is of course touches of the serious and the author manages the perfect balance between the two. Beautifully written with characters that come alive and jump off of the pages. I raced through this wonderful book. A narrative that is littered with humour and characters that captured my heart, I couldn't help but become entranced by this trip down memory lane. 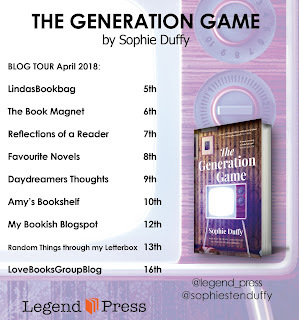 Sophie Duffy is a writer that has her own unique style and one that I liked very much.